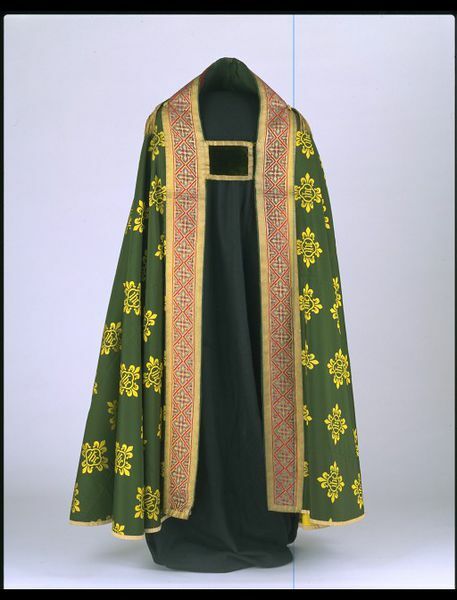 Cope and hood of green woven silk and velvet, and with a pair of morses. 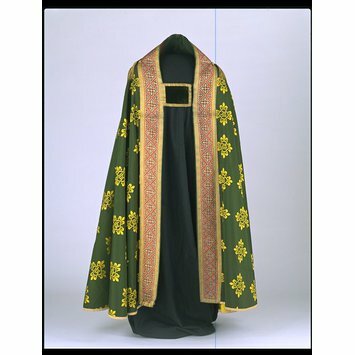 Cope and hood of woven silk and velvet, and with a pair of morses, designed by A.W.N. Pugin, Great Britain, ca. 1848. 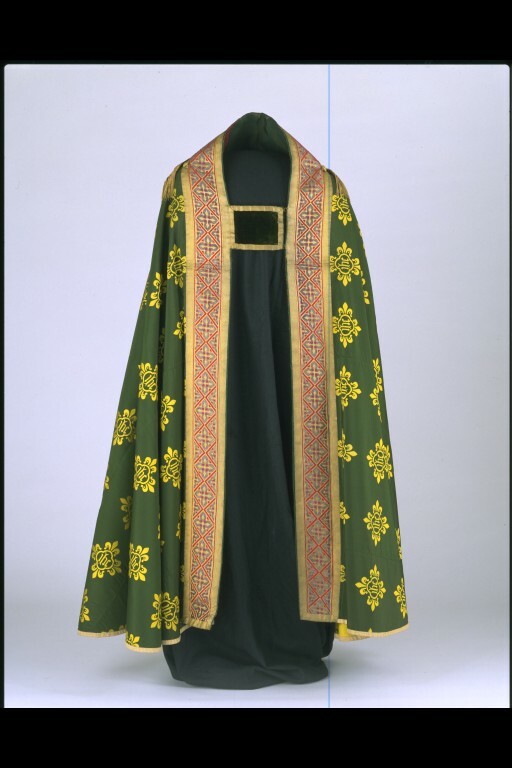 Made for St Augustine's Abbey, Ramsgate.